Get the comfort of leather and the security of Kydex! 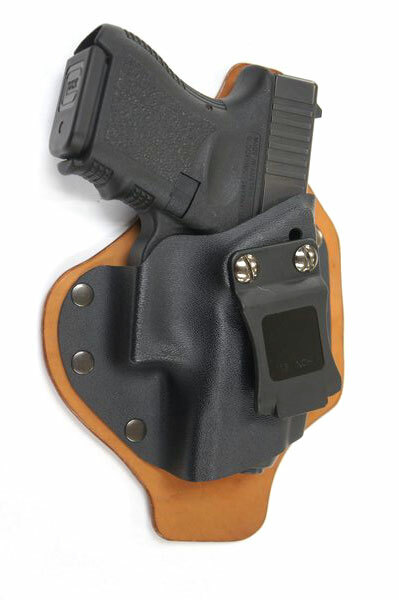 The comfortable Single Clip IWB Hybrid Kydex Leather Holster is perfect for concealed carry. 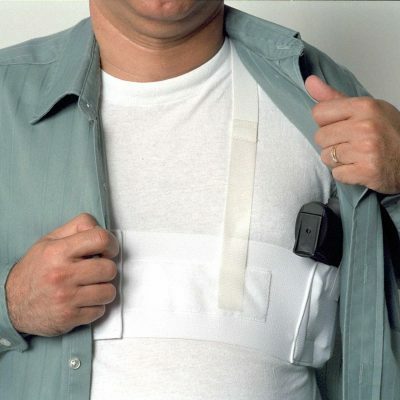 The holster pulls the weapon close to your body for great concealment. The leather backing provides superior comfort for extended, all-day concealed carry. 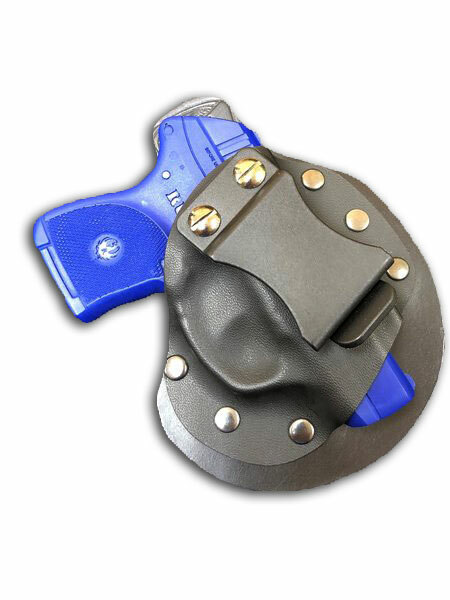 You can position this holster for strong side, appendix, or cross draw carry. Handmade with premium, top-grade USA vegetable-tanned leather or natural horse leather that is professionally finished. Each holster backing is combat cut to give you a firm combat grip of the weapon for a fast, smooth draw. The .080 Kydex is vacuum deep molded for secure retention but still allows for a smooth, fast draw. The Kydex covers the entire trigger guard to protect you from accidental misfires while drawing or carrying your firearm. A sweat guard protects you from the gun slide digging into you. The durable belt clip is adjustable to 2 different positions for cant. We use a riveted construction to attractively secure the Kydex to the leather backing. The Single Clip IWB Hybrid Kydex Leather Holster is a very comfortable holster for extended, all-day concealed carry. Hand-made from the finest premium quality, American hide or natural horse leather. This high-end leather will age beautifully with use. Molded front sight channel protects your sight and provides a fast, snag-free draw. 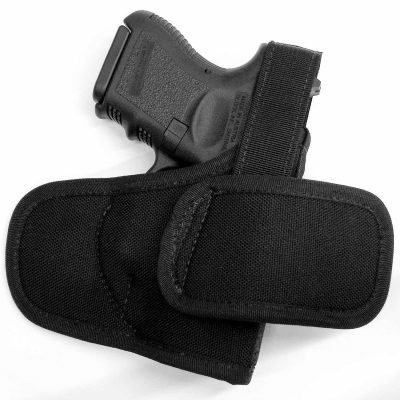 Position the holster for strong side, appendix, or cross draw carry. Incorporated sweat guard prevents your gun from rubbing against your skin for a more comfortable, all-day carry. Open muzzle design accommodates different barrel lengths. Belt clip fit up to 1½” belts for better, tighter fit to keep your gun solidly on your belt. Provides great concealment with full combat grip accessibility. Money Back Guarantee: If you’re not more than delighted with the holster’s quality construction, unsurpassed versatility and comfort, just return it within one year of purchase for a full refund. As with all natural material products, each individual item will be different, as each piece of leather will have slight variations of color and imperfections, even coming from the same hide. This makes your leather holster a truly unique, one-of-a-kind item. Have been using it now for over 2 months and i can say it is a high quality holster. Well made, great retention and looks nice. Carries my Sig P320 all day comfortably. Very comfortable, have bought several of your holsters and i will keep coming back for more. Thanks. Good looking holster and works very well.